When I saw these blue orchids in the store, I just had to buy them. I’d never seen real blue orchids before. They were the inspiration for several drawings I did. This was the second one. 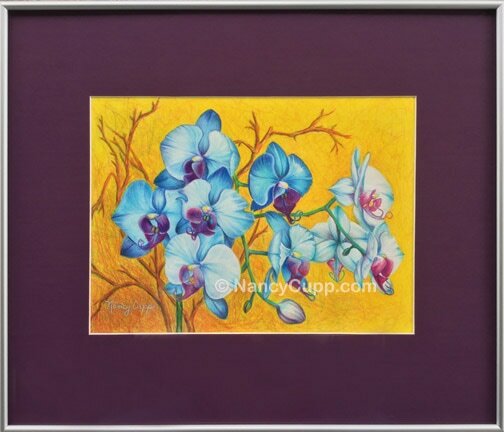 It is meant to be a companion for the Blue Orchids 1.